Education in today’s era is continuously evolving and more towards a child holistic development. It is the partnership between school, parents, management and community. Success will be achieved whenever we all work together as a team. At RPS, we strive to make sure all of our students at primary level are very well prepared to face the challenges of life. 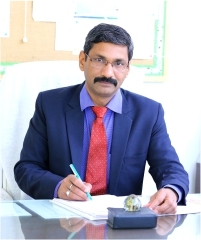 The students are expected to enhance the reputation of the school by the way of behavior in the society. We believe in giving our students strong values along with a set of wings which may carry them far and wide. I sincerely believe that a child will be successful in life if we accept him or her as they are and inspire them to become what they want to become. They want to be liked, appreciated and to be respected their individuality.